But these types of loans come in a variety of formats, with open and closed ended loans two important distinctions. 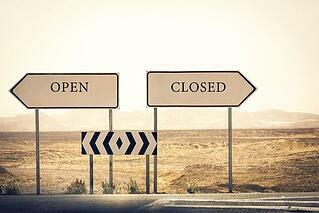 A key aspect of bridging loans – whether open or closed – is the exit strategy. This shows your lender how you intend to pay off your loan and plays a big part in the success of your loan application. The sale of a property. This might be the property on which you’ve secured the loan or a second property that you were waiting to sell. Refinancing to a Basic or Buy-to-Let Mortgage. Bridging loans are often used when time is short and you can’t get a high street mortgage organised in time. Once the mortgage is finalised, you can use it to pay off the initial loan. Cash redemption from another source. Sometimes you’re waiting for cash from another source to arrive but it’s not coming in fast enough. Once it does arrive, you can then pay off the loan. The difference between the two loan types is when the exit strategy comes into effect. Simply put, an open ended loan doesn’t have a set repayment period. This means you can decide how much to pay off and when. 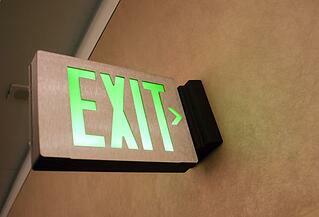 You’ll still need an exit strategy, but just not a set date for it. 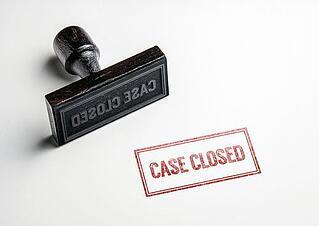 With a closed loan, though, you’ll be given a final date on which to pay off the remainder of the loan due. It means that with a closed loan, you’ll need to be pretty confident with your exit strategy. For example, if you’re looking to exit via the sale of a property, you’ll need to have the completion date set before the date of the final loan payment. Cost. An open ended loan tends to have higher interest rates because the risk to the lender is greater. Therefore it can be more costly, especially if the loan period continues over a greater length of time. Penalty fees. As an open ended bridging loan has no final date, there are no penalties for not meeting the deadline. With a closed end loan, if you don’t pay back the remainder on the agreed date you could be faced with a penalty fee. Flexibility. Open ended loans provide a lot more flexibility. For example, if you don’t have a set completion date from the buyer of the property you’re using to pay off the loan, an open ended one could be the better option. Unusual circumstances. If you don’t have a set income, or for some reason the timescales of your transaction are unusual, then an open ended loan could be an option.